Hi everyone, it’s Candida here with your weekly community update! 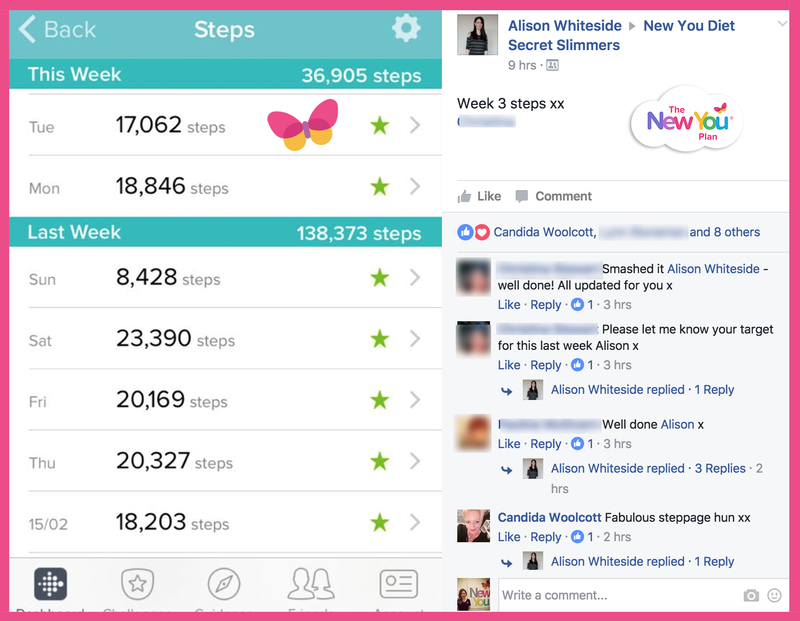 It’s a new dawn, it’s a new day and what a fabulous week it has been in the Secret Slimmers Community! 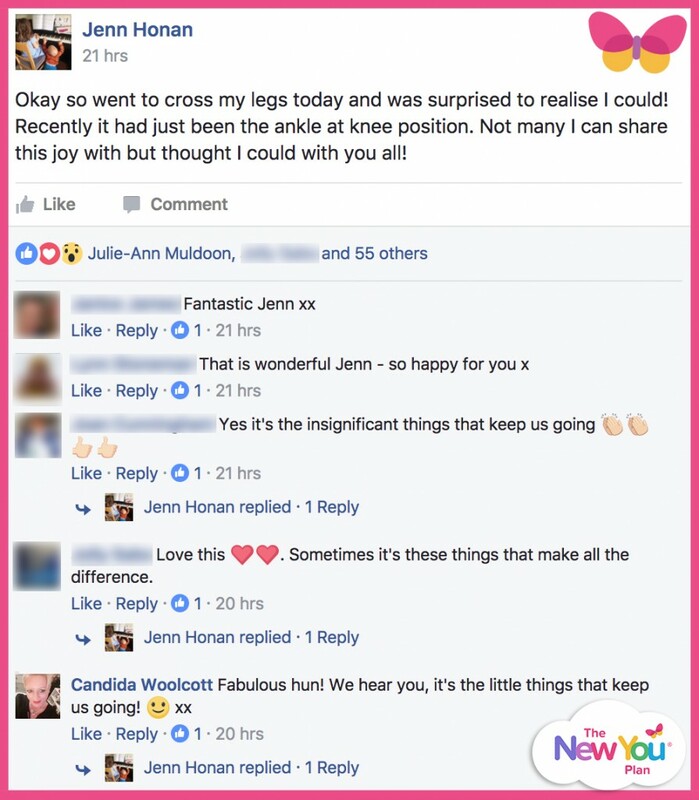 I’ve been watching the new Secret Slimmers embark on their New You journey with anticipation as to how they will do in their first week. It’s a privilege to be a part of this, to be a part of their transformation to a healthy body and mind. Did you know that we have an incredible 5,255 members in our secret community? That’s 5,255 like minded people striving to lose weight and be the healthiest they can possibly be. We are into the third week of the February Love Your Body Step Challenge with some fabulous steppage occurring. To name but a few of our steppers who have gone to great lengths to up their fitness levels, Karen Dawson and Alison Whiteside have been smashing their goals. Our incredible winners for the Weekly Step Challenge Giveaway were Lynn Stoneman and Sharon Edwards who took videos of themselves doing their steps. 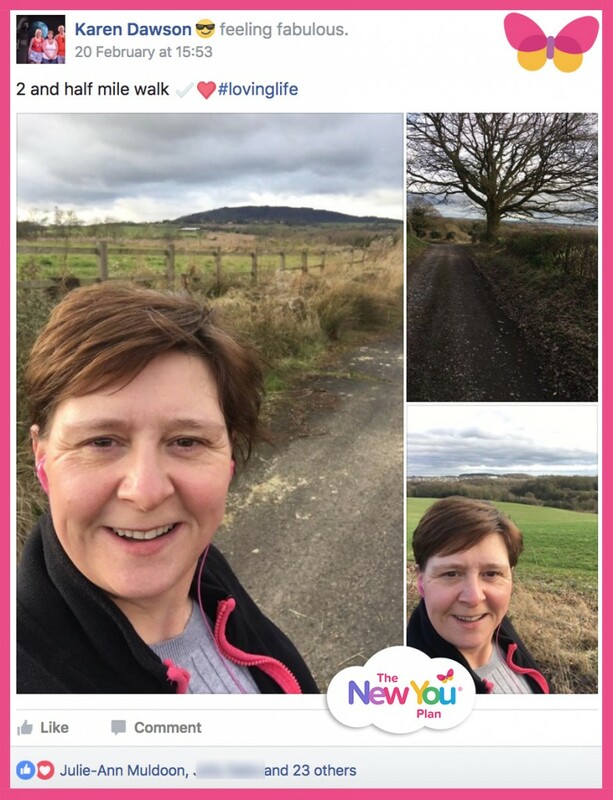 Both videos were unique in their own right with Lynn out and about with her lovely dogs and Sharon showing how you can get your steps up by being in the house! Well done ladies! Keep stepping SS as you could be the winner of a Bodyblade Total Body Exerciser plus there will be two runners up, each receiving £50 worth of New You Plan points. Momentum Maintainers has been buzzing with healthy foody ideas and has welcomed many new members this week. We hold a food clinic weekly to answer any questions members may have that have been puzzling them. Lynne Griffiths really needs a special mention! She has embraced maintaining and finding a plan that works for her and her family with our help! Some of her dishes have not always gone to plan with her bread turning a lovely shade of purple but she really has come on leaps and bounds and is loving her new healthy maintenance lifestyle. 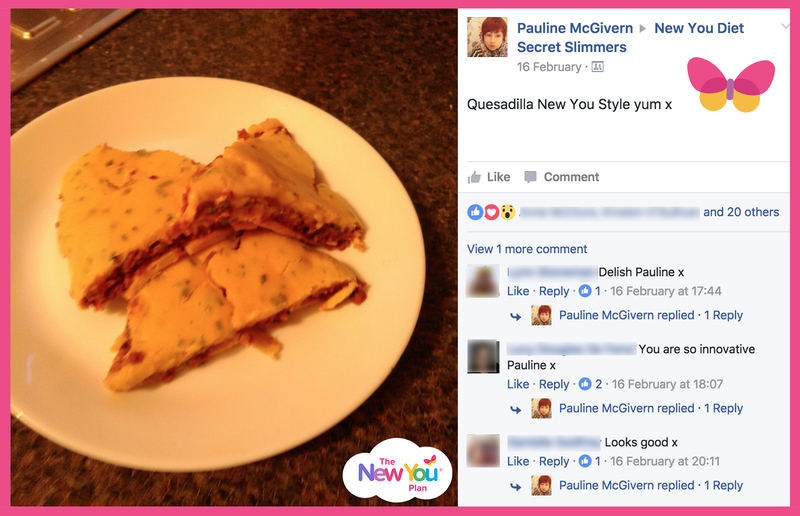 Meanwhile in Secret Slimmers, Chef Pauline McGivern has once again been cooking up a storm with her New You style Quesadilla which inspired Margret Lamb to create her yummy looking version. It astounds me how creative our slimmers can be, each week coming up with new and innovative ideas! 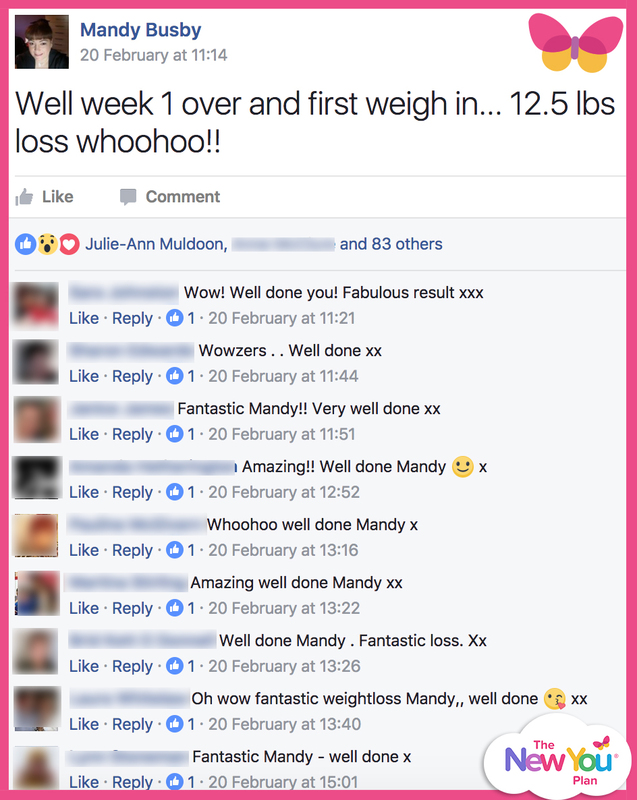 So many inspiring weight losses this week; Mandy Busby lost a phenomenal 12.5Ibs* in her first week whilst Hel-Kai Valtenberg lost a stonking 8Ibs*! 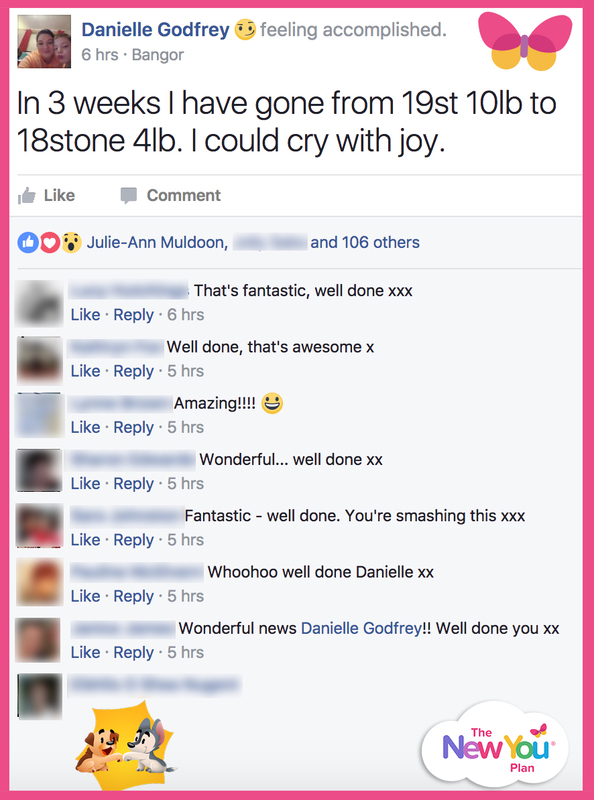 I loved reading Danielle Godfrey’s post who proclaimed she could ‘Cry with joy’ at having gone from 19 stone 10Ibs to 18 stone 4Ibs* in just 3 weeks. One incredible lady is Lucy Douglas De Fenzi who is so committed to the plan and thrilled to bits to have lost 21Ibs* in four weeks. Well done to each and every one of our Secret Slimmers, no matter how small or how big your loss, you are all amazing! One of our words on the Daily Challenge Calendar this week was positivity which leads me to mention the beautiful Valerie Williams who exudes strength, determination and positivity. Valerie had a serious accident years ago which left her wheelchair bound but this does not stop her from challenging herself, losing weight and inspiring dozens of people with her words of encouragement! She is a wonderful, cheerful and positive member of our community and we are lucky to have her! Finally, one slimmer stood out for me this week and that was Michelle Chambers! 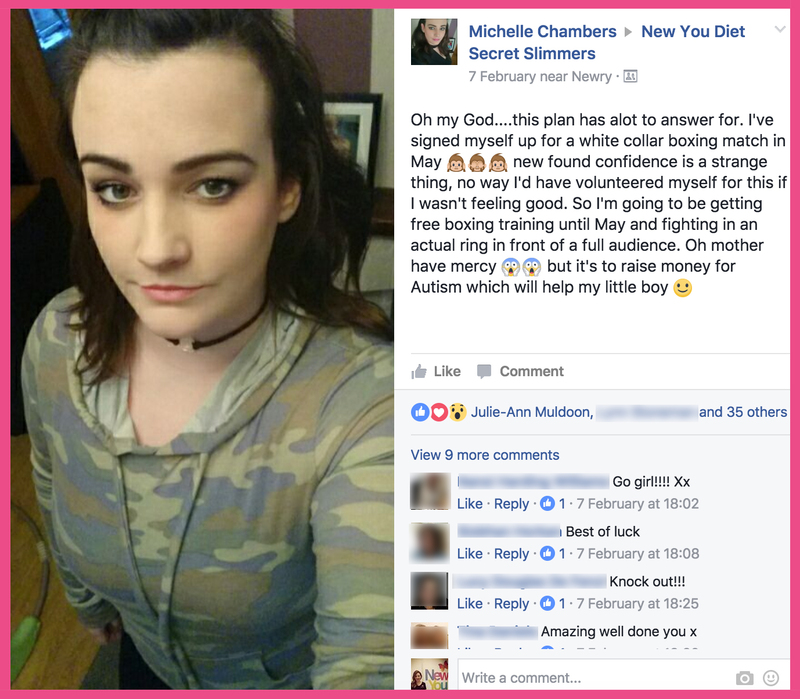 Michelle’s newfound confidence by losing weight with New You has inspired her to sign up for a white collar boxing match in order to raise money for autism. Her training will begin now until May and then she will be donning her boxing gloves and taking to the ring. This is fantastic and we wish her lots of luck! Good luck and best wishes to Anne McClure who is having an eye operation. We wish you a speedy recovery. Last but by no means least, a very happy birthday to New You Founder Julie-Ann’s daughter who was 3 this week and had a rocking Princess Elsa party! Happy Birthday little Mimi! May your week be filled with good thoughts, kind people, positivity and many happy moments.